Pineapple is a juicy and tasty fruit which is one of my favorite fruits. The outside texture of pineapple is really too good. But it’s really a difficult task to cut them in proper way. 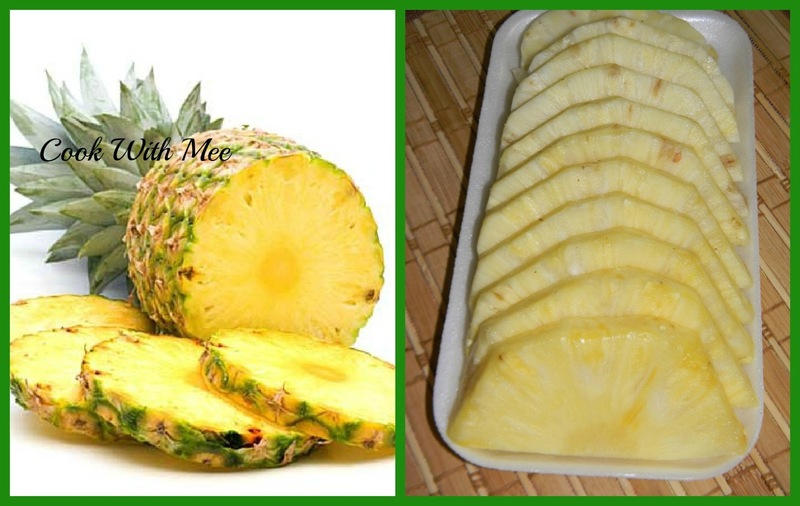 Pineapple is a tropical fruit, can use as juice, cooking and raw. Raw pineapple tastes really awesome what I love about the fruit is the smell. Last week I purchased one Pineapple from market, and almost half of the fruit we finished on that day itself. But after that I didn’t want to have it raw so I planned to do something with them. 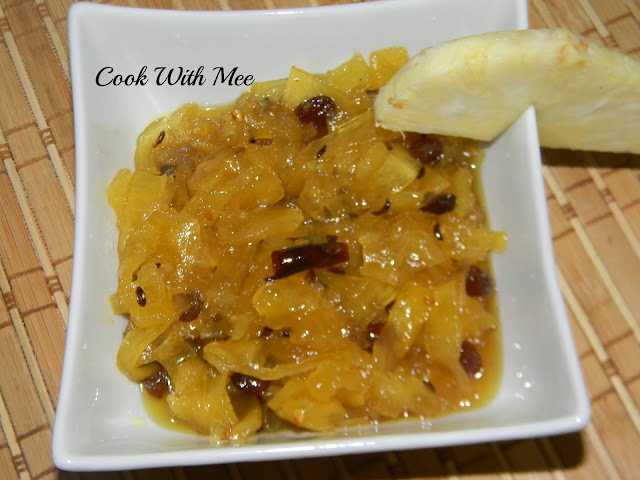 Instead of having the raw pineapple you can make some delicious PINEAPPLE CHUTNEY which is really an awesome dish. 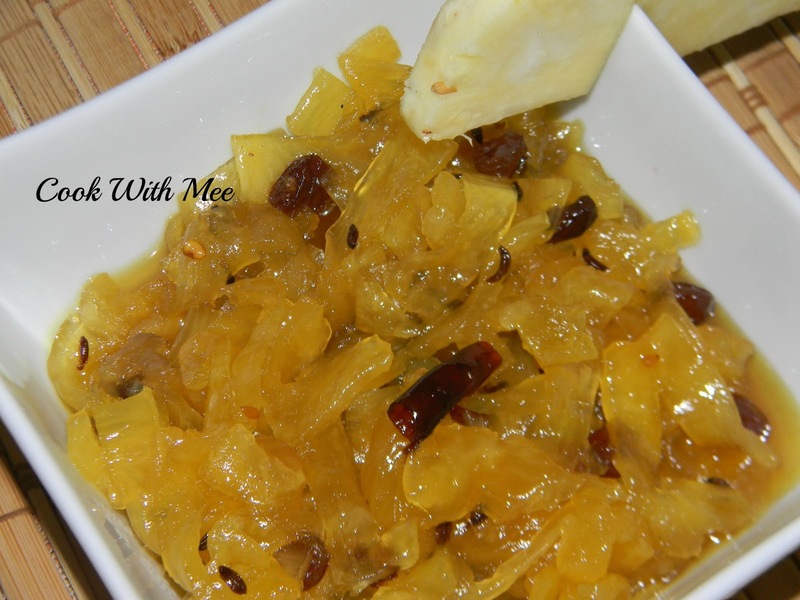 I prepared some PINEAPPLE CHUTNEY two days back with the help of one of my dear friend Chitrangada Kundu. Me and my husband relish the chutney very much hope all pineapple lovers gonna try this one very soon. 5.One tea spoon lemon juice. 7.Four table spoon sugar (as per taste). 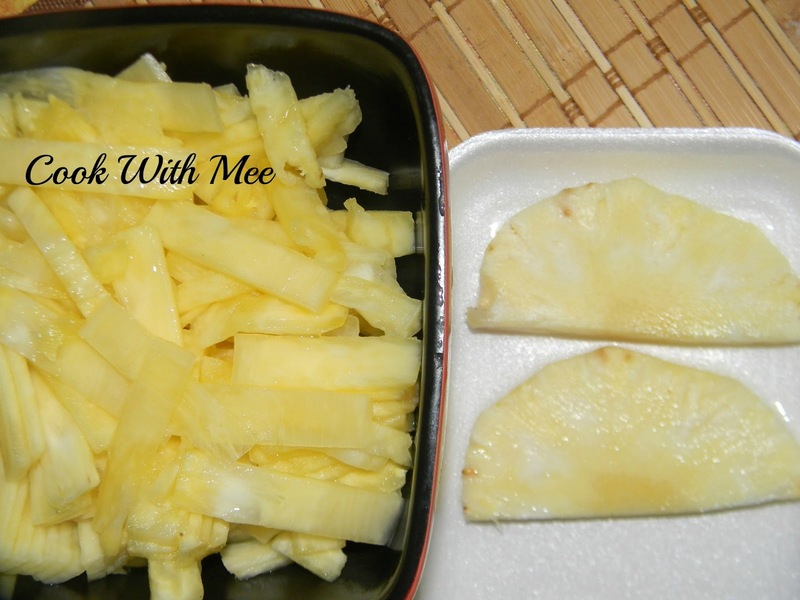 Finely sliced the pineapple pieces, and soak them in to some salt water for 10 mints. Soak the raisins in a cup of water. 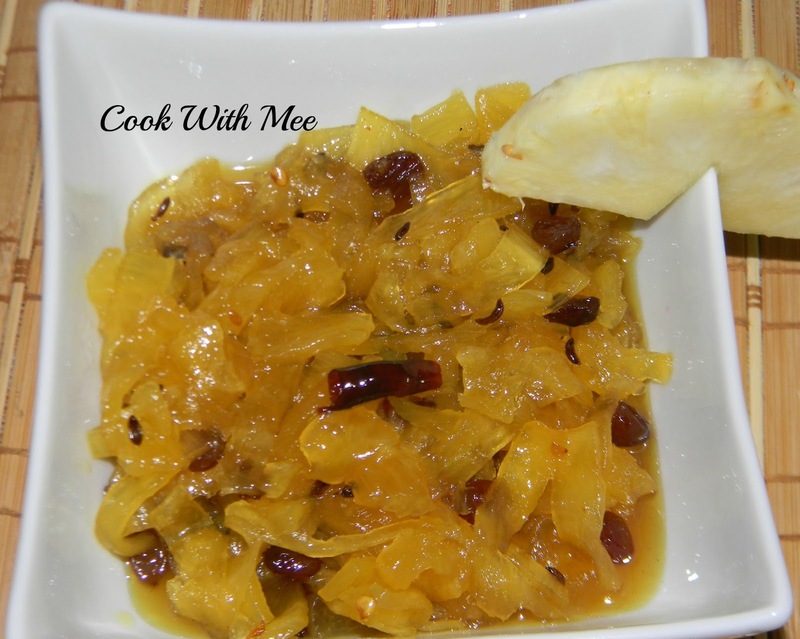 add the sliced pineapples and stir for some time. Now add some water, and cook till the pineapple boiled nicely. Now add the sugar and the raisins and cook in very low flame for 20 mints. Now add the lemon juice and mix well, remove from heat. That one is really made your stomach happy.